Based in Wellington Colorado, Keeton Industries, Inc. is a family-owned and operated aquatics manufacturing company. 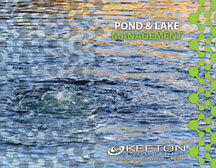 Since its founding in 1972, Keeton Industries continues to promote pond management naturally healthy aquatic habitats, lakes, fisheries and waste water facilities. We create and develop the best technology and equipment available to improve the environment and benefit the world’s population. Our innovative aeration system designs and eco-friendly beneficial microbe technology continue to keep us at the forefront of our industry. Luke Keeton, the second generation of Keeton Industries, also discovered his passion for fish and lakes very early in his life. 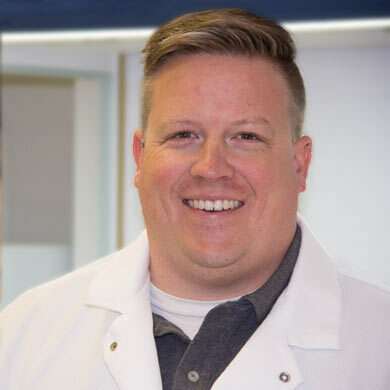 Working for Keeton Industries from a very young age, he also decided to pursue a career in Biology and received his undergraduate degree in Biology/Marine Biology from Oregon State University in 2001. Mike Moore is an accomplished aquatic biologist with expertise in lake and pond management and restoration. His knowledge of aquatic ecosystems and our products make him an outstanding resource. His technical savvy and design experience allow him to create solutions for even the most challenging conditions. 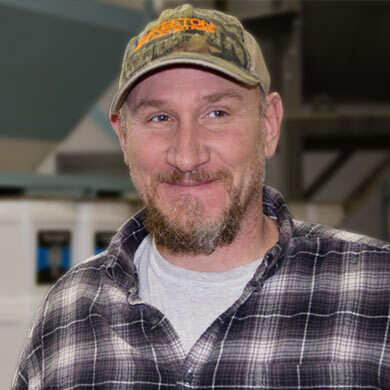 Mike received his degree in fish and wildlife biology from Montana State University-Bozeman and has worked for government and private organizations restoring aquatic habitats throughout the United States. His passion for people is apparent and he is looking forward to helping you. Kurt Hansen, a key member of our sales team is a graduate of Kansas State University, where he earned his degree in Agricultural Economics. 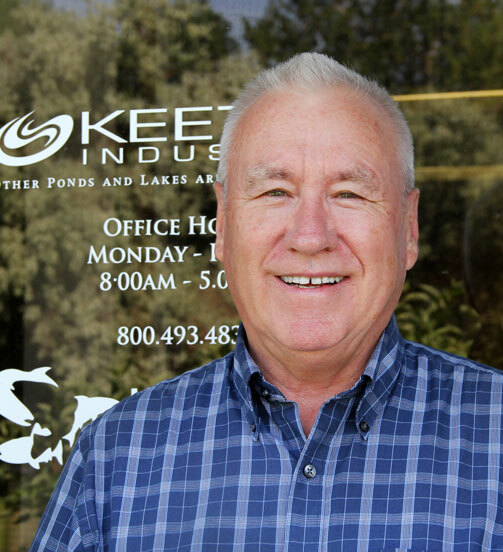 Kurt has spent more years than he cares to admit in the field of pond and lake restoration and management and has a real knack for solving even the most challenging water quality issues. If you have any questions related to aeration or microbes, he's your go to guy. Jim Keeton’s passion. He started working with fish at a very young age, while he spent most of his childhood fishing on the Keeton Ranch. 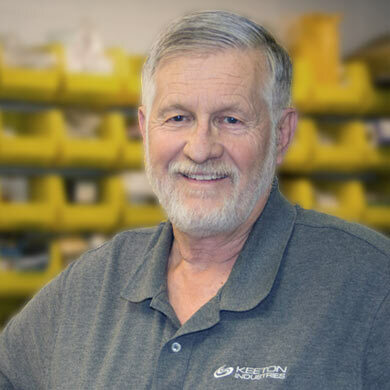 Jim received his undergraduate degree in Fisheries Biology from Colorado State University in 1968 and has been at the forefront of aquatic technology ever since. Jim has been involved in Aquaculture design and manufacturing for over 30 years and has developed and patented various new technologies. As the lengthy title above suggests, Connie Seiler wears many hats for Keeton Industries. She is an experienced Bookkeeper with more than 30 years in AR/AP and Collections, along with a strong diverse background in Accounting and Human Resources. 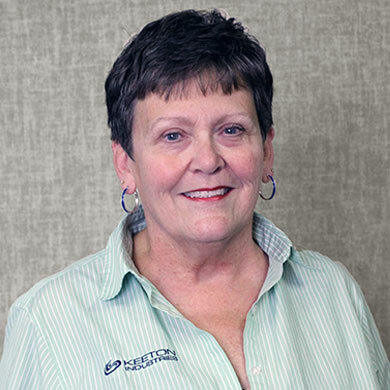 Connie has obtained her on-line training in Quality Assurance and has been very instrumental in Keeton's Quality System. She is also Keeton's International Export Documentation Specialist who has obtained Keeton's EAR Classification, Tariff Classification Codes and OFAC Licensing for all of Keeton Aquaculture Products. 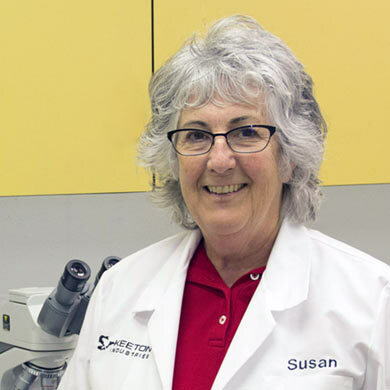 Dr. Knudson received her doctorate from Yale University and has published articles on Insect Biochemistry, Cell line identification, Lymen Disease, Baculoviruses, Orbiviruses, Mosquioto Genomics, Bacterial Genomics and Drug Discovery for Tuberculosis and Burkolderia. She Joined the Keeton staff as a Senior Research Scientist working in the Keeton Research and Development. She brings a broad knowledge base to our program and is currently working on developing new high through-ut screening techniques to identify new, more effective probiotics against Vibrio spp. 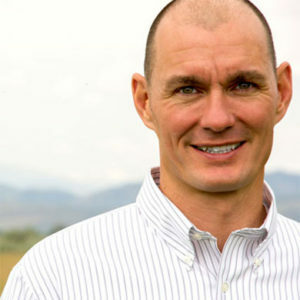 Dr. Knudson previously worked at Colorado State University. For over 22 years Harvey Mayer has been Keeton Industries master craftsman of all the Keeton solar and electric aeration systems. From design to component parts specifying to tightening the last bolt, Harvey is involved every step of the manufacturing process of our solar and electric aerators. He also does updates and repairs when needed. After business hours Harvey enjoys the great Colorado outdoors as as an avid golfer and gardener. And you won't find a more loyal Green Bay Packer fan. He's been one since the days of Lombardi. It's a little unclear since he's lived in Colorado his entire life. Harvey is a graduate from University of Northern Colorado. Zach joined Keeton in early 2015. He recently earned a Associates of Arts Degree with a concentration in Business. When it comes to his job, Zach wears many hats, including, Assistant Sales at the office and trade shows; Inventory Control; Item Forecasting; Lead on Production team, Scheduling; Leads safety meetings. Beyond work, Zach takes advantage of his backyard, i.e., Rocky Mountains. He loves to camp, snowboard, hike, bike and swim. Pretty much anything outdoors. 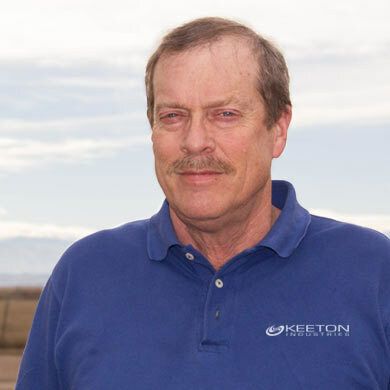 Ken Ricord oversees production at Keeton Industries. He has managed operations and production at Keeton Industries since 2012. 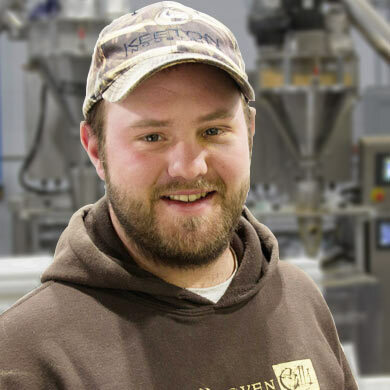 Ken has a knack for managing multiple ongoing projects and is a whiz at keeping production moving forward. He has a long history of operations management and is instrumental in getting product out to the consumer. As a Colorado native who loves the outdoors Ken appreciates working for an environmentally friendly company that values the natural world and manufactures products that improve the environment. He is happy knowing that every bucket of microbes and every aeration system that leaves our facility is going to improve the environment and the world we all share. Clayton Mullinix is our reliable go-to utility guy. Whatever needs to get done, he gets it done. 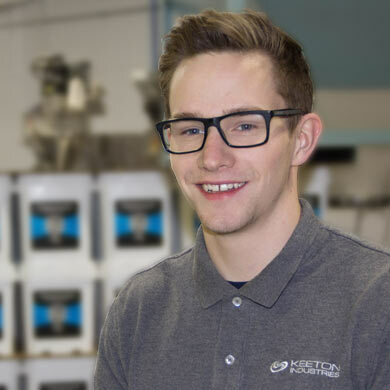 Clayton is an important part of our production team, whether it's ... mixing microbe formulas, plant maintenance When it's time to clock out, Clayton can't wait to get out the door to the great outdoors. Fishing and hunting are his two great passions.